Sometimes I hear about things that are too good to put on the shelf for too long. 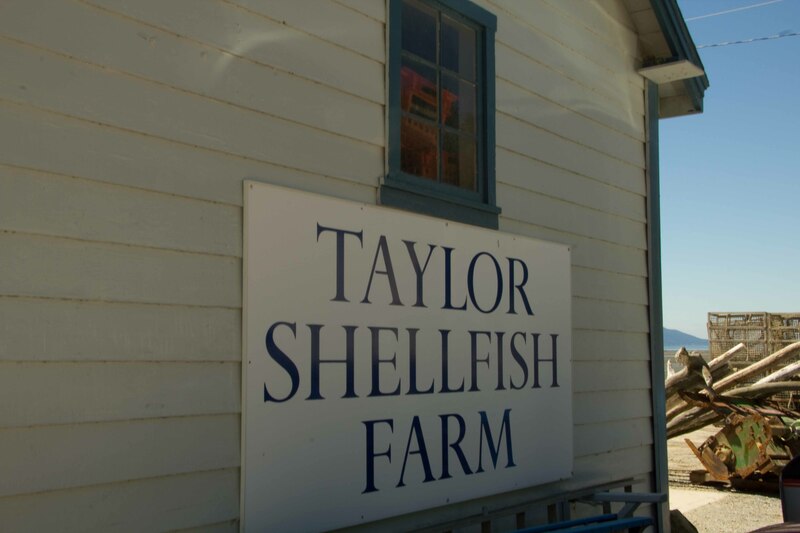 This time it was about the oysters at Taylor’s Shellfish Farm. 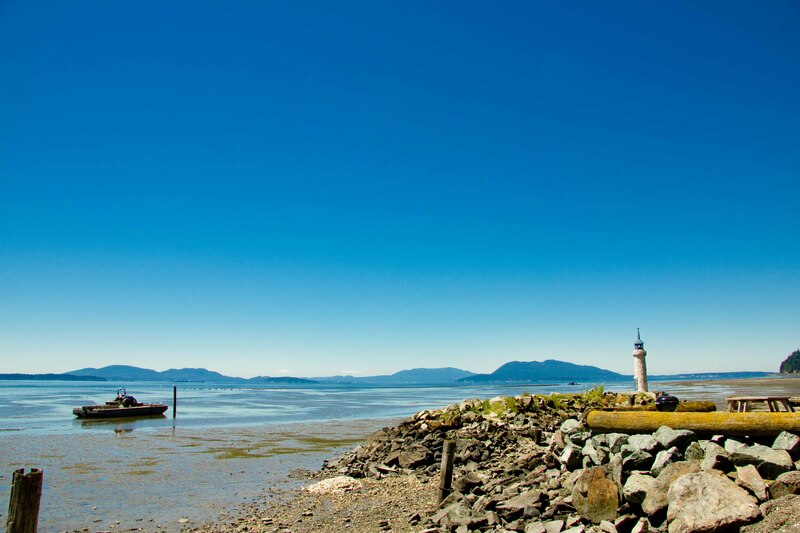 Located on scenic Chuckanut Drive halfway between Vancouver and Seattle, this gem is the perfect stop on your way to Seattle, or if you are just looking for some fun on a summer’s day. 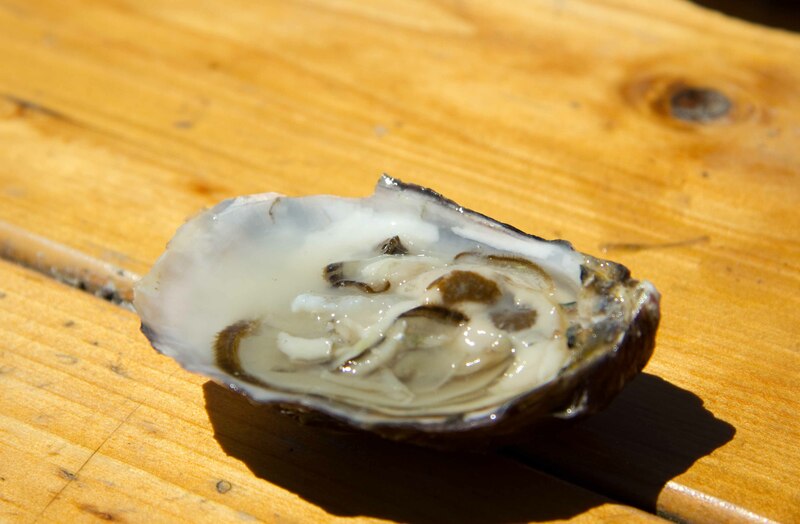 The whole adventure sounded too good to be true, so on a beautiful sunny day, I got into my car for an oyster road trip. 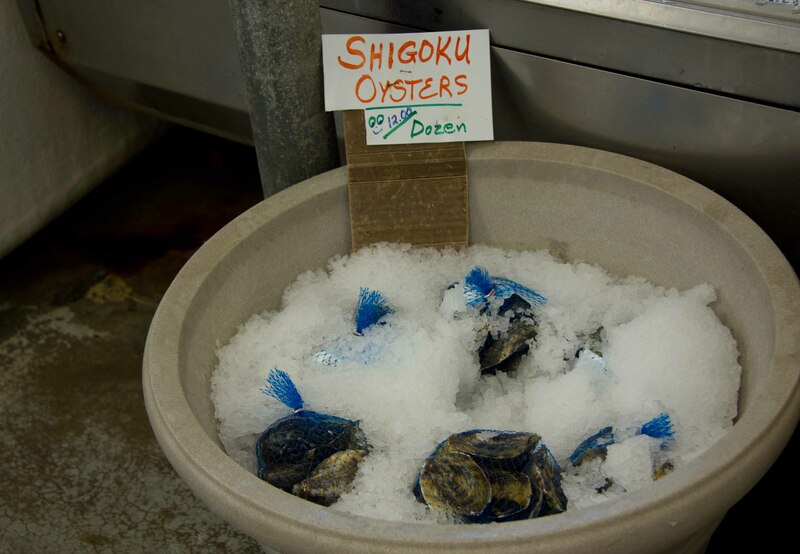 Located right on the beach, Taylor Shellfish Farm sells a variety of shellfish including crab, goeduck and clams. But I was interested in only 1 thing. 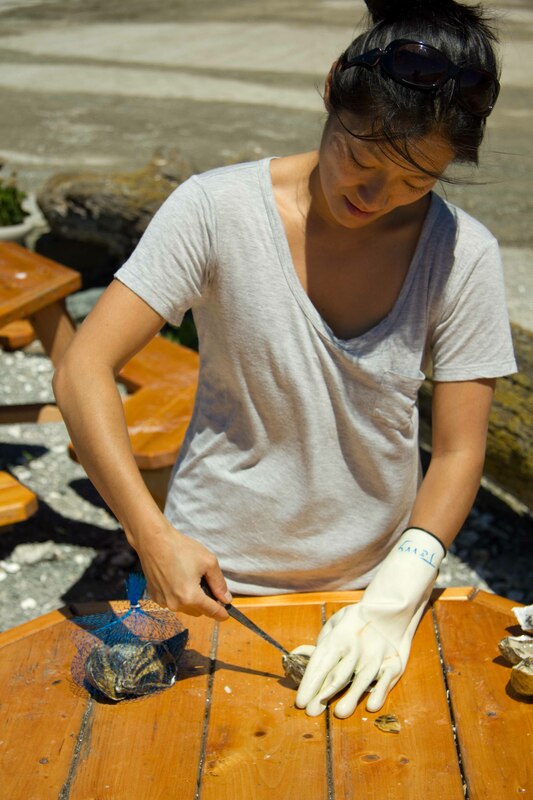 You buy a bag and borrow a shucker, (and glove) to take it out back to one of their picnic tables to enjoy the view. They sell lemons and small tabasco and cocktail sauces, but these beauties didn’t need them. On this beautiful summer’s afternoon we were the only ones here! I’m not the best oyster shucker but these were really easy to pry apart. The shells were fragile so I cracked the first few. I got better after the first couple. I forgot to mention that before you stop at Taylors, you should make a stop at a gas station to pick up a cold beer to enjoy while you slurp. 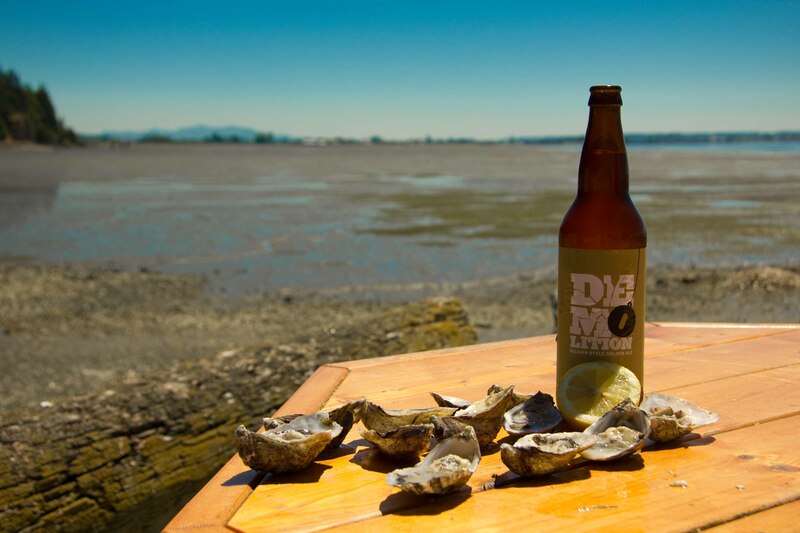 The one I stopped at had an interesting selection, so I picked up a Demolition golden ale which went very nicely with the oysters. Thanks Jo&Henry for the awesome recommendation!